Cholesterol is a term we all know and have heard of especially when people say that I can’t eat this have to watch my cholesterol levels. But do we know all there is to know about cholesterol, let us try and understand this sometimes friendly and sometimes unfriendly Cholesterol? Cholesterol as we know it is a wax-like substance our body needs and uses to protect (nerves), produce (hormones) and to make (cell tissues). Whatever amount of cholesterol our body needs is provided by the Liver, and some get into our body directly from the food consumed by us like eggs, meat and dairy products. But too much of a good thing is also bad same applies to too much cholesterol. Bad cholesterol is another name given to Low-Density lipoprotein(LDL) and why it is bad is because it adds cholesterol to our body. Good cholesterol is another name for High-Density Lipoprotein(HDL), and it is good because it removes extra cholesterol from the body. What happens when your cholesterol is high? Your body does not give you any individual signs that you have high cholesterol, but a lot can happen inside if your cholesterol levels are high. The extra cholesterol gets stored in the arteries, and this buildup is a plaque, which hardens up to narrow down the arteries. If the deposits become too large, the artery might get blocked, and sometimes the plaque may burst to lead to clot formation. One can imagine the effects of the blocked artery on the health of your heart, a heart attack and heaven forbid if the artery carrying blood to the brain is blocked one might suffer a stroke. Why does one get high cholesterol? Our liver produces cholesterol needed by our body, and if we add to the cholesterol we get from our diet there is enough good cholesterol but having foods which are high in fat will give us a skewed cholesterol level. Being overweight and leading a sedentary and inactive life again puts you at risk of getting high levels of triglycerides. Diagnosis: this can only happen when you get a blood test done, and if you have a family history of the same then you must make it a point to get it done on a regular basis. Exercise in a must at least 30 minutes in day is the minimum . Begin with light yoga, walks and then increase gradually. 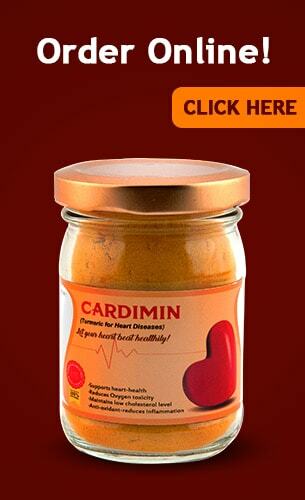 You must also make Cardimin a part of your routine as it is the most natural method of maintaining cholesterol levels. Cardimin is fortified with the goodness of Curcumin which is a natural anti-inflammatory and anti-oxidant agent. Both inflammation and oxidation cause extensive damage to the blood vessels and lead to plaque build, and Curcumin has powerful anti-inflammatory and anti-oxidant action which prevents this from happening. A study published in Molecular Nutrition and Food Research. In mice with high LDL cholesterol, curcumin was not only shown to lower LDL cholesterol, but it also lowered triglycerides and C-reactive protein (CRP), a marker of systemic inflammation. Curcumin in Cardimin has powerful anti-atherogenic properties which prevent the formation of plaque in arteries. When taken as dietary fibre the curcumin in cardimin acts against lipids and prevents plaque formation and the nutrients present in curcumin ameliorate cholesterol molecules leading to lower cholesterol levels. The antioxidant property of curcumin prevents accumulation of lipids in the blood, thus regulating cell signals and giving the compound hypolipidemic action. This property works wonders in lowering the cholesterol levels and maintaining them. Curcumin also manages cholesterol levels in the intestines and suppresses LDL genes. 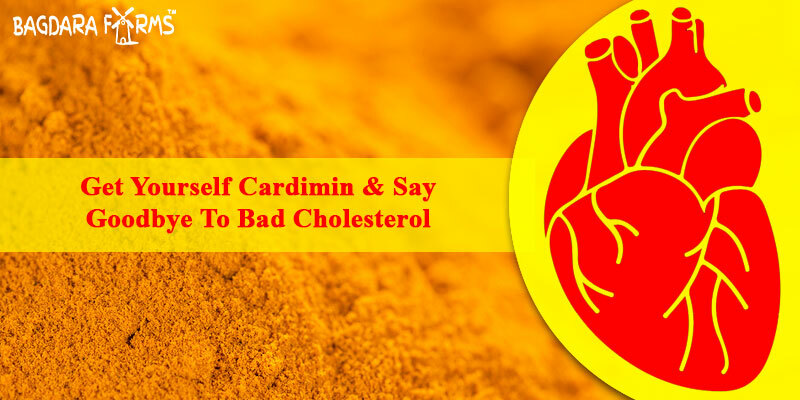 If you are fighting high cholesterol, then get yourself Cardimin and say goodbye to bad cholesterol.